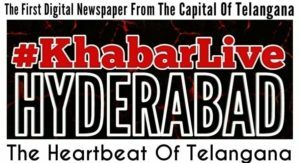 The residents of Khizra Enclave in Hyderabad are angry. 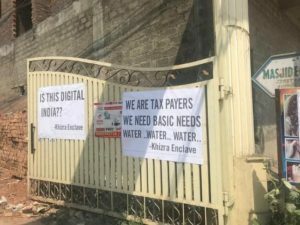 With the general elections just days away, they took to the streets earlier this week, to grab attention and make one thing clear to the candidates of their constituency – no water, no vote. 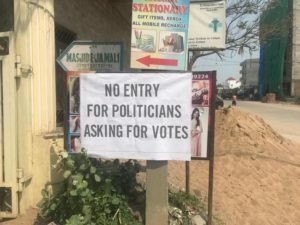 The main gate to the enclave was adorned with posters that read ‘No entry for politicians asking for votes’ and ‘We are tax payers, we need basic needs’. Videos of the incident where locals raised slogans also did the rounds. The residents of the enclave, located in Puppalaguda just a few km from the Financial District where massive offices of MNCs are located, say that the situation has been going downhill over the last few years. “We don’t have any drinking water. 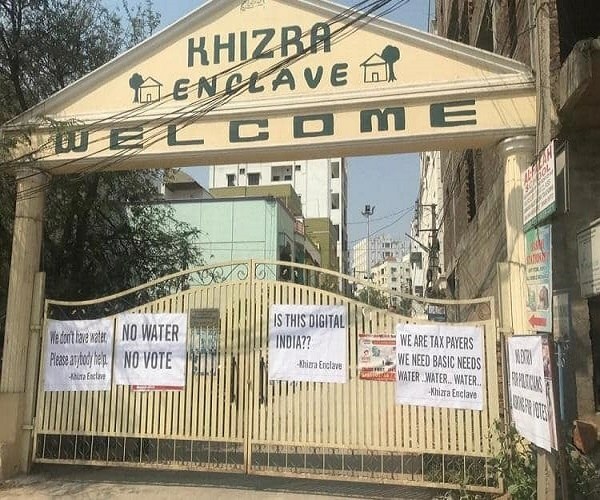 Though it has been two decades, we have no water connection despite repeated assurances by successive governments,” says Syed Kazim, executive member, Khizra Enclave Welfare Association. “For potable water, we depended on borewells, but they are drying up quickly. Even if we dig 1,200 to 1,500 feet, the water dries up by January. By April and May, there is not a drop of water,” he adds. “For drinking water, we depend on water cans that we buy from nearby shops,” he adds. However, he is quick to add that they may not boycott the vote after all. “We understand that solving the problem will take time. The goal was to highlight the issue. We are well-educated and we should not deprive ourselves of our right. We will go and vote,” Dr Ali says. The issue at Khizra Enclave is symptomatic of a larger problem in the city, such incidents being far from isolated. 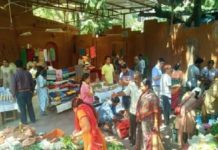 Just days before the protest in Puppalaguda, residents of the Lakshmiguda Housing Board Colony also took to the streets, stating that they had to go to great lengths for a basic amenity like water. 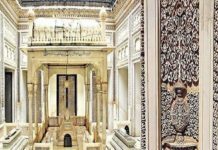 Many areas that come under the Legislative Assembly constituency of Rajendra Nagar and the Parliamentary constituency of Chevella face the same issue. Parts of Cyberabad, where Hyderabad’s IT sector is located, has witnessed rapid urbanisation over the last decades with tall skyscrapers coming up in areas like Gachibowli, Serilingampally, Kondapur, Manikonda and Narsingi. Deep borewells are dug to meet the increasing demand for water and as a result, the groundwater levels have depleted rapidly. Highlighting how grave the situation is, a report by Niti Aayog titled ‘Composite Water Management Index: A Tool for Water Management 2017’ said that by 2020, 21 major cities, including Hyderabad, are expected to reach zero groundwater levels, affecting access for 100 million people. Under the Andhra Pradesh Water Land and Trees Act, 2002 (APWALTA), the state government has already made it mandatory to construct rainwater harvesting pits in all premises where the plot area is more than 200 sq m. However, activists say that it is rarely implemented. Meanwhile, some activists express hope that the issues will be addressed over the next five years as several water projects were being implemented. Next articleIs Pastor-Turned-Politician K A Paul’s ‘Election Games’ Are Purely ‘Stage Stunts’ Or Part Of A ‘Big Conspiracy’ In Andhra Pradesh? Modiji, Where Is The ‘Budget’ For India’s ‘Invisible Women Farmers’?